+++ CheckPoint now supports Apple Watch. Get and Add location reminders right from your Watch! Have you ever forgotten to accomplish tasks while you’re out in the day, only to regret not doing so when you’re finally back home after a long day? Fret not, CheckPoint will remind you. 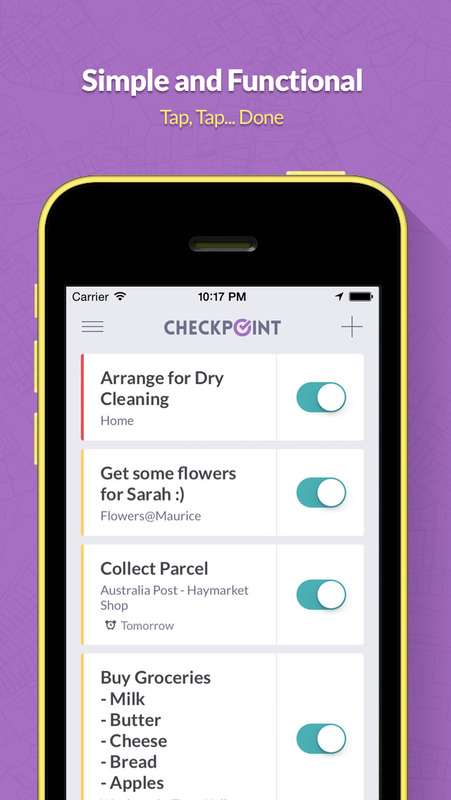 We made this app so it could remind you to get things done at the right place, right time! 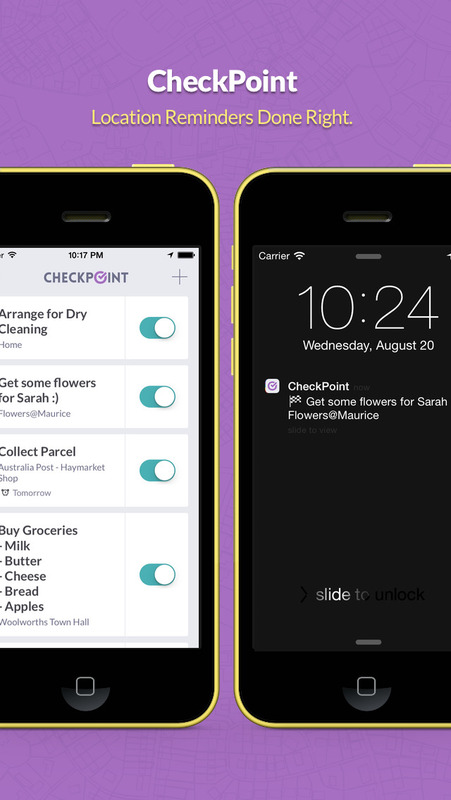 Unlike other reminder apps, CheckPoint is a location-based reminder so you can get relevant reminders based on your location. For example, a reminder to pick up an extra light bulb on your way home from work from the shop nearby. Or a reminder to try out that new cafe your friend recommended when you’re in the neighbourhood. 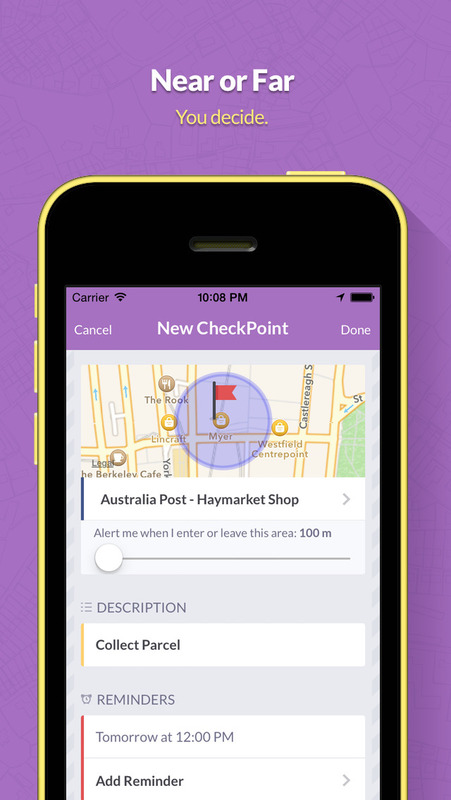 CheckPoint location reminders are battery safe, no matter how many reminders you’ve added! … and much more, the possibilities are endless! • Added a few new notification sounds that are longer, so you don’t miss em!